A serious gardener knows that there are several different types of bulbs that should be considered when planting a garden. Among most’s list of favorites are tulips. They offer a great variety to choose from! Fusilier – these produce a bouquet of red-orange blooms on each stem. They also tends to reliably come back every year and bears many brightly colored blooms per stem. They bloom best in mid spring. Black Parrot – with their fringed and twisted petals, the ‘Black Parrot’ is an especially nice choice with dark purple blooms. At two-feet tall on average, they are one of the most dramatic, showstopping tulips available. 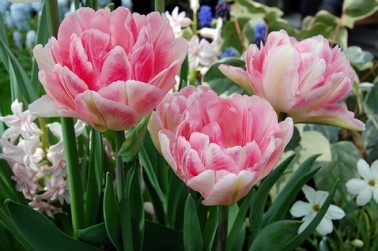 Angelique – these may be the most elegant of all of the tulip varietals. 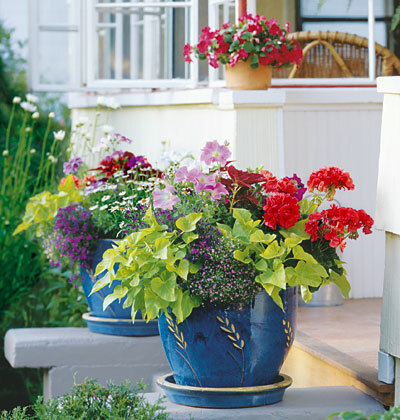 They bloom in late spring and offer a gorgeous color and a great fragrance. Do you need assistance in figuring out which tulips may best suit your garden? That’s what Marvin Gardens is here for. Contact us and we’ll be glad to help!